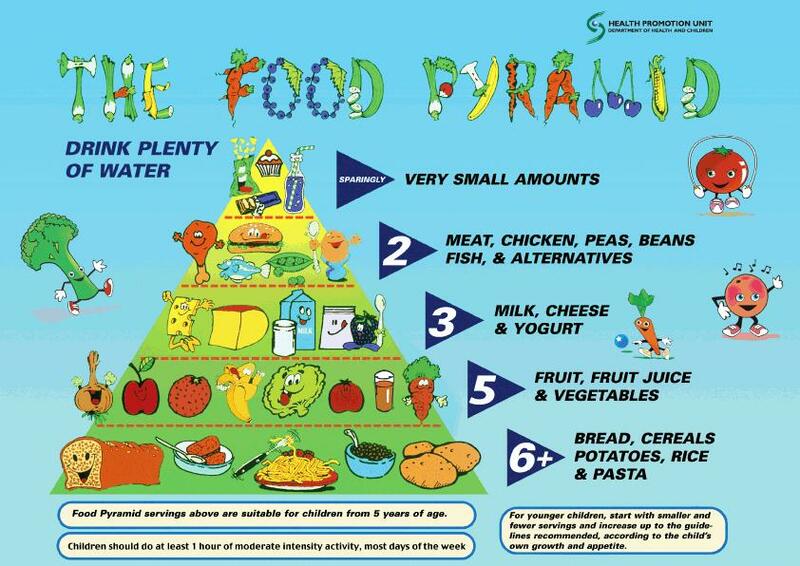 Using the Food Pyramid poster, compose a full day’s menu for a child of your age. Be sure to include enough portions of each category and remember to go easy on the sweets! “Eat Smart Move More” is a fantastic HSE publication full of information about healthy eating and exercise. On page 14 you can find some full day menus to help you with your homework. ← Craggagh’s Mayo 4 Sam!